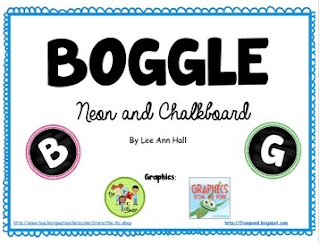 This is a set of printable letter tiles for the Boggle Game. This is a low maintenance (but still academic and engaging) game for early finishers. The set also includes a worksheet for students to record their answers. Enjoy!